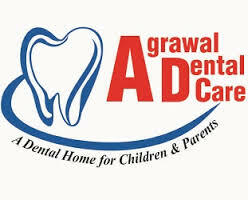 Agrawal Dental Care is a Pediatric Dentistry Clinic in AB Road, Indore. The clinic is visited by doctors like Dr. Navneet Agrawal and Dr. Meenakshi Agrawal. The timings of Agrawal Dental Care are: Mon-Sat: 11:00-20:30. Some of the services provided by the Clinic are: Artificial Teeth,Crowns and Bridges Fixing,Children Dentistry (Pediatric Dentistry),Acrylic Partial Denture and Forensic Odontology etc. Click on map to find directions to reach Agrawal Dental Care. Thank You So Much Mam For Your Words. Best medical care taken by experienced doctors. Medical issue and course of treatment well explained. The doctor did all the efforts to make my child comfortable, explained the issues to us in detail, encouraged us to clear our doubts and suggested the best possible remedies.